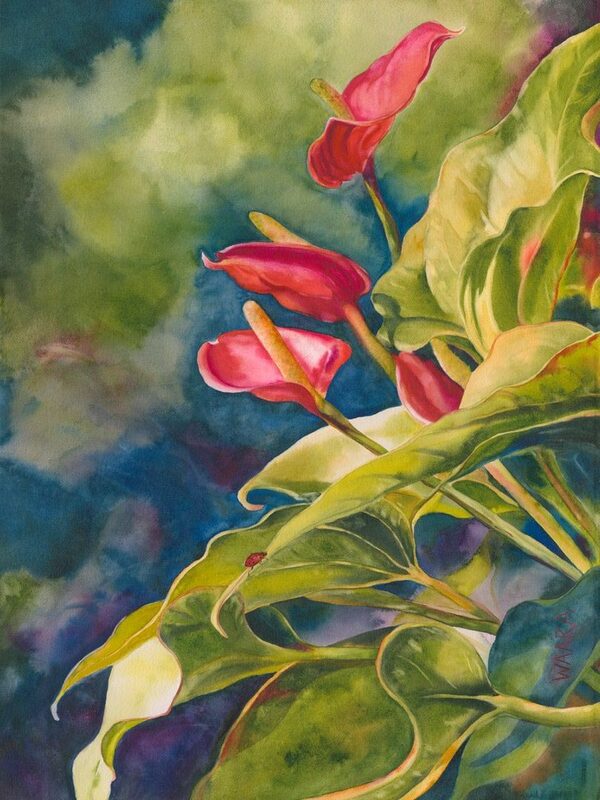 22″ x 30″ watercolor painting available in giclee print and greeting cards. Have you ever heard of a ladybug name Albert? I made him up to give more interest to the Anthurium. Why not! Did you know that the leaves of the Anthurium, when dried, release a musky vanilla scent? These flowers are very durable and used in many exotic and colorful floral arrangements.